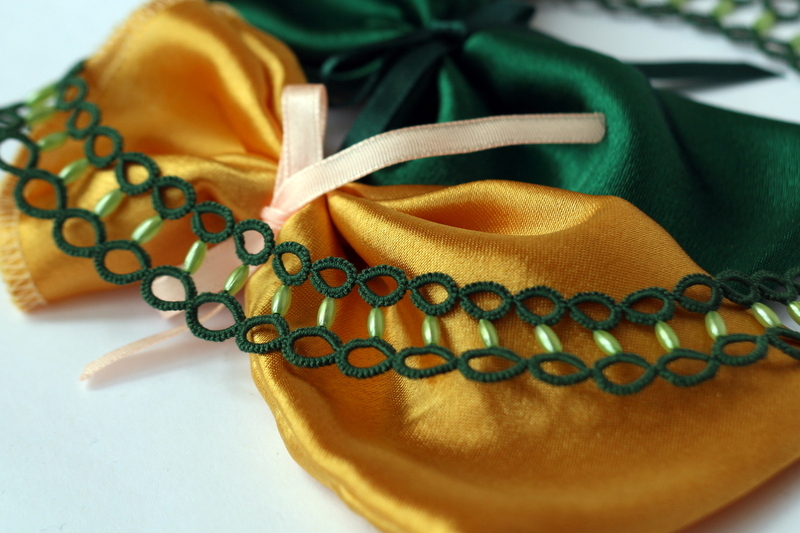 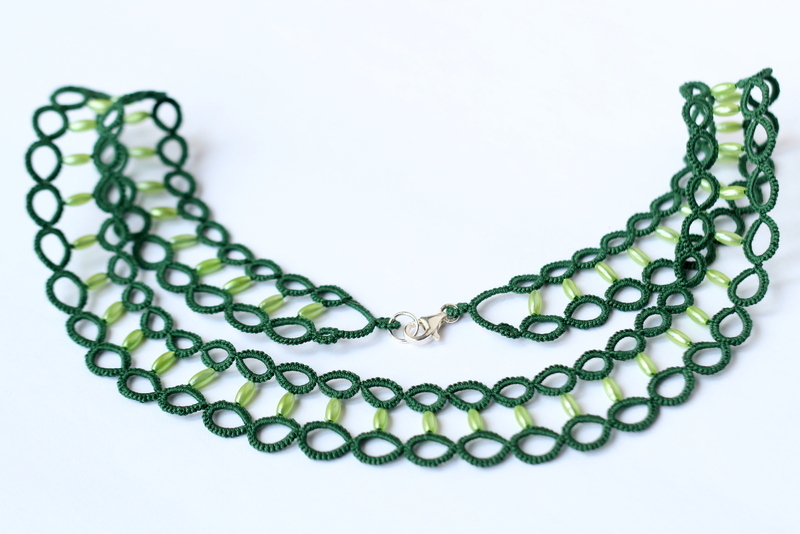 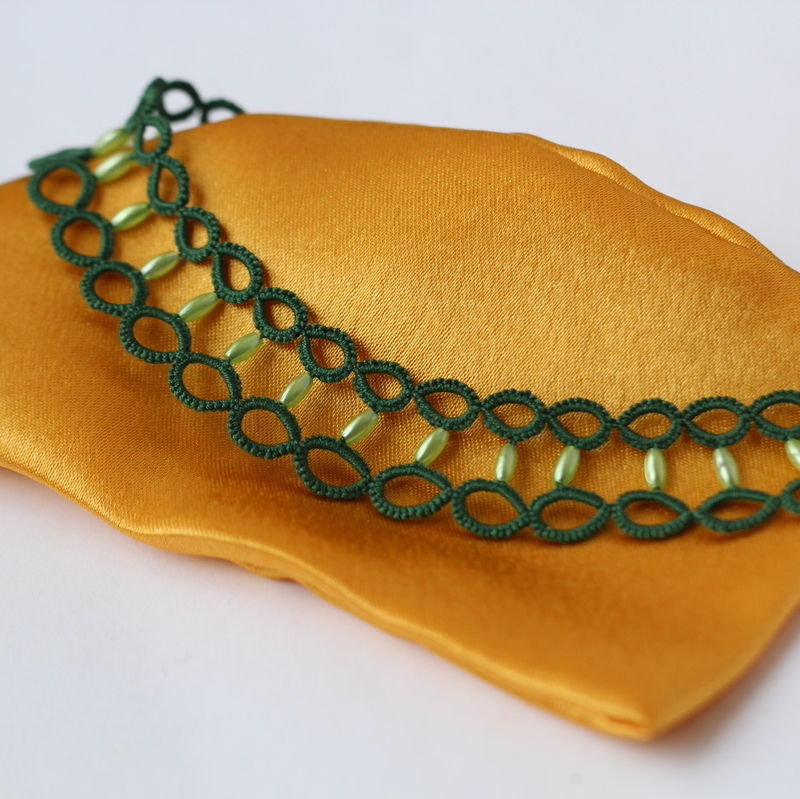 This lightweight necklace is made of cotton thread and small rice-shaped beads. 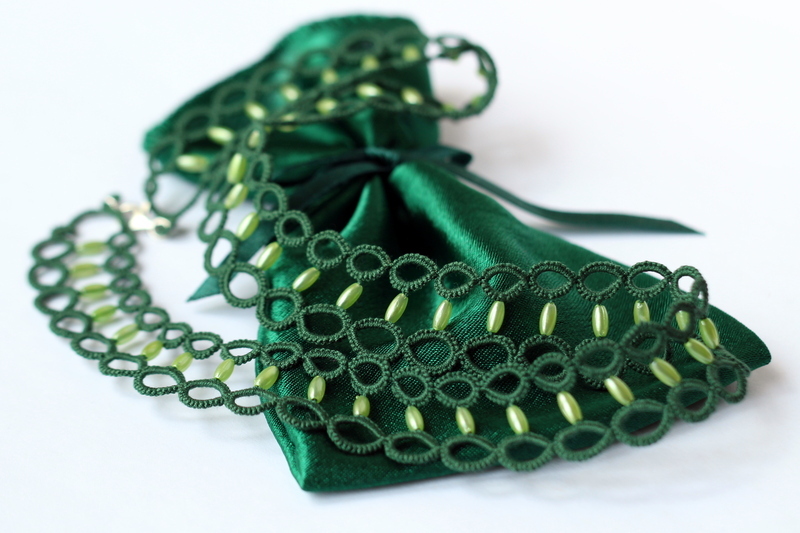 Great example that lace can also have contemporary form – ideal for a minimalist look. 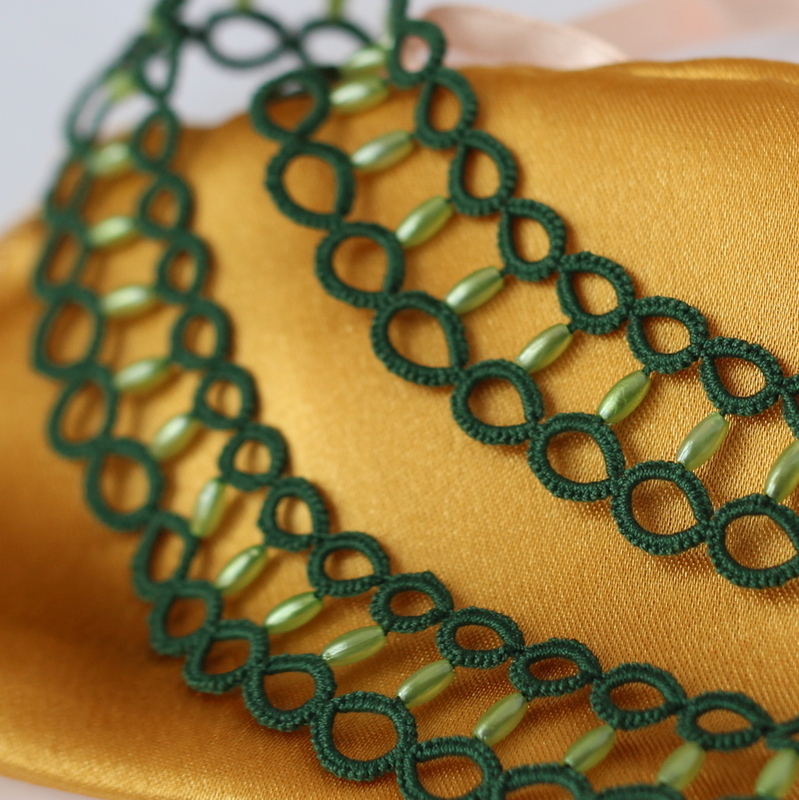 Green minimalist necklace in Etsy shop.